We have a fantastic war story to share this month. We are always excited to receive artifacts from the theatres of war & are delighted to hear the human side of the stories. When the two come as a package- and are from a member of our team, the research becomes all the more personal. Take a read of the story of Erich Johannes Chédel. Sometimes we receive information about a person’s life story that really piques our interest. 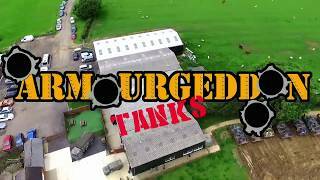 This month, that story is the Grandfather of one of our team here at Armourgeddon. And what a story it is! 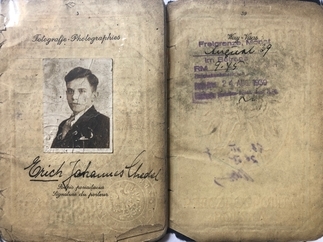 With a case full of papers, photos, certificates, school reports, identity cards and the folk stories passed down through the family, we have tried to piece together the life story of Erich Johannes Chédel. Eric, also spelled Eryk, Erich and Erijk, had quite a convoluted life journey! Born on the 3rd August 1918, this month, we would have been celebrating Eryk’s 100th birthday if he was still alive. Born in Leipzip, Poland, to Wladyslaw Chédel and Aniela Duda, Eryk was the middle child of three, with an older brother and within a few years, younger sister Carla completed the family. After a successful school career, Eryk headed to The Engineering School of the Imperial City, Leipzig to study Metallurgy. When he completed his degree is 1939, he headed to Warsaw to start his career in a foundry. However, the career plans were put on hold as on the 1st September 1939 Poland was invaded by the German army and the city was under siege. Everyone in Warsaw was told to leave or surrender to the German military. But Eryk had different ideas! 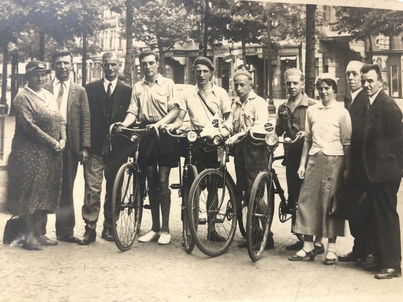 Joining up with other like-minded folk, Eryk and his crew refused to leave the city and instead, joined the Resistance to fight against the German invasion. Following significant fighting in the streets, and a near miss as the fighter next to Eryk was hit directly in the head by a German sniper, he was captured by the German army and taken to a Prisoner of War camp. From the evidence and the paperwork, we are unable to tell if Eryk had enlisted into the Polish army or was a resistance fighter at this point. There are numerous documents with numerous spellings of his name, so this time in his life is rather sketchy! What we do have is a number of photographs of family and friends, which are stamped to show that they were allowed by the German military into the POW camp. There is also a food allowance document for Nürnberg-Langwasser POW camp, main camp XIII D from the 16th October to the 12th November 1944 in the box. Towards the end of 1944, the American army liberated the prisoners at the camp. At this point, it seems that Eryk joined the Allied Land Contingent, Polish Forces as the Polish National Guard. Family folklore then fills in the gaps in the paperwork, as it was believed that Eryk was an Allied Spy, working on projects to report back on Soviet activity in the area. It is believed that during these years, he was regularly traveling back to Poland, the area being overrun by Russians, on reconnaissance missions. On one of these visits, a double agent, or at least a friend or informer, warned Eryk that the Soviet forces had blown his cover and that they knew him to be a spy. His life was threatened, meaning Eryk had made that his last trip to Poland. Eryk was honourably discharged from the Labor Service of the US Army, Polish Civilian Guard, on the 30th September 1947 as the unit was deactivated. On the 22nd February 1948, Eryk had papers stamped at Harwich, from the Office of the Military Governor, U.S Zone of Germany, which state that Eryk’s identity documentation was all lost in the war. Some of this documentation- including his passport, have miraculously re-appeared are is in the document box, along with dried Edelweiss flowers, railcards, student ID cards, signed photographs and sports club membership cards. Some of the documentation is very fragile, but a complete honour to have in front of us to research. Eryk had been asked to come to the UK due to his specialist knowledge of metals and castings. He worked in Sheffield, Leeds, Brighton and Lutterworth. During this tour of the foundries of the UK, Eryk met and married Hilde, whose full name was Mechthilde Engelsberger, from Salzberg and the pair settled in Lutterworth and they had a son who continues to live locally with his own family. 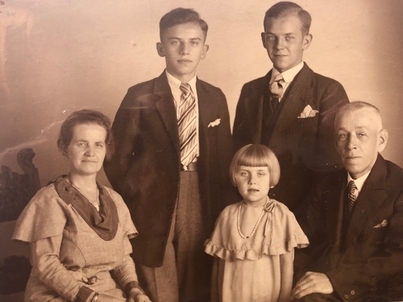 Hilde also had a number of documents, including a school report, emblazoned with the German Reichsadler, showing that in their youth, the couple would have been on opposite sides of the battle. We are always excited to receive artifacts from the theatres of war & are delighted to hear the human side of the stories. When the two come as a package- and are from a member of our team, the research becomes all the more personal. We thank Joe and his family for sharing the items and Eryk’s story with us, in the month that would have been his 100th birthday. Happy birthday, Eryk!